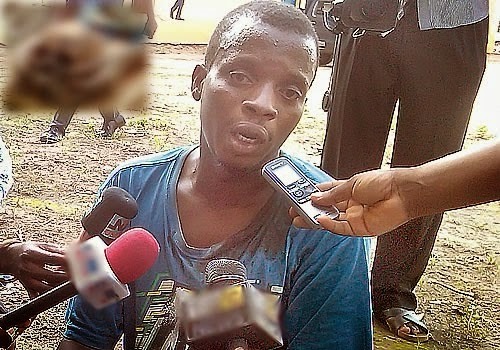 Pastor Clement Oyetunde, a 35 year old man who claims to be a pastor with the Cherubim and Seraphim Church in Osun state, was paraded by men of the Osun state police command on October 9th after he was found with human skull and other charms at his church premises in the Adeowo area of Modakeke in Osun State. In his confession, Oyetunde said: “I am a pastor of the Cherubim and Seraphim, Oke-Itura parish, Adeowo area in Modakeke in Osun state. 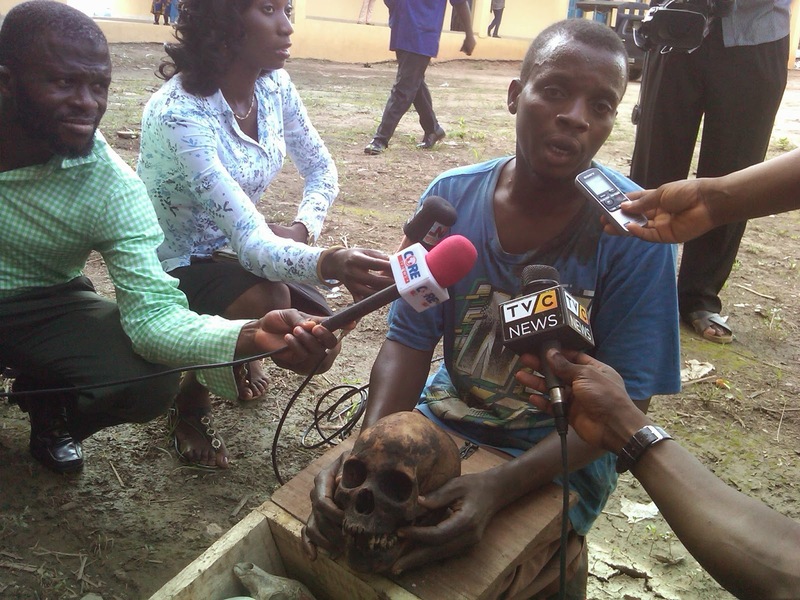 It was Wasiu that brought the skull to me, We buried it at my backyard. Wasiu left immediately and I don’t know his whereabout, now. “Few days later, while I was asleep in the house, I hear strange voices singing and drumming in Christian way as if they were worshiping. The tune suddenly changed into traditional song and some invisible spirits started telling me that I should return the skull of Iya-Orun. They told me that the skull buried in my house was Mama Osun’s skull and that the woman was from Ondo in Ondo state. “They insisted that I must return the skull and the noise was too much for me to bear as my head was swelling. According to Tribune, Nigeria police is currently on the trail of the said Wasiu, who is currently at large.